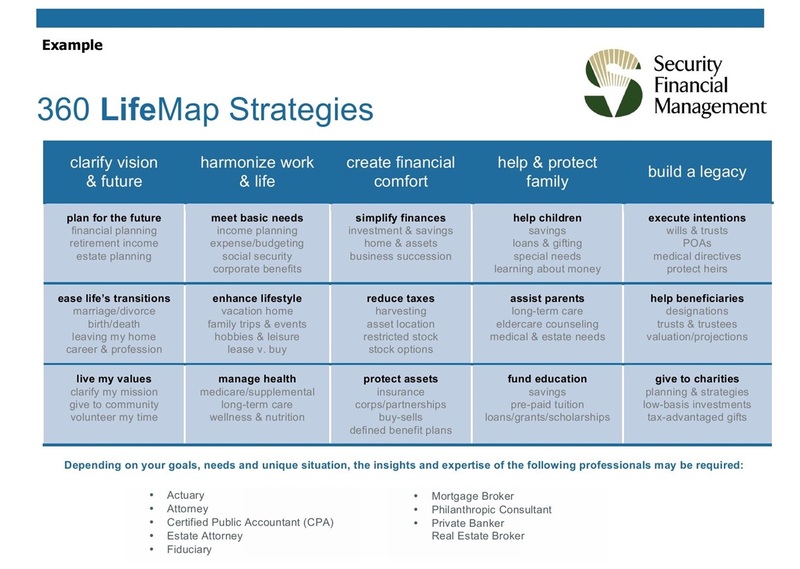 The 360 LifeMap represents a departure from the planning strategies most advisors utilize because of its focus on placing life issues before financial issues. We believe that if we understand your life issues, we will better understand your financial needs, concerns, opportunities and goals. This comprehensive framework was designed to uncover both the emotional and empirical information needed to deliver a better client experience. Your financial plan should be specific to your goals. Learn more about our approach by scheduling a free consultation.